What are Japanâ€™s 100 famous mountains?Â A selection of famous mountains in Japan has been compiled since the Edo period (1603 â€“ 1867) and the list has been revised several times since the very first list appeared.Â At the current time the list of 100 famous mountains includes those shown below.Â Also shown is the Japanese pronunciation, elevation in meters and feet, the Japanese kanji, the Region the mountain is in and a few a.k.a. (also known as) names . My partner and I have climbed (or in one, case merely ascended) the 14 mountains which are shaded, underlined and in bold text.Â Youâ€™ll probably note that we have not climbed Mt. Fuji and wonder why?Â The reason is simple â€“ too many people and not enough interesting sights. 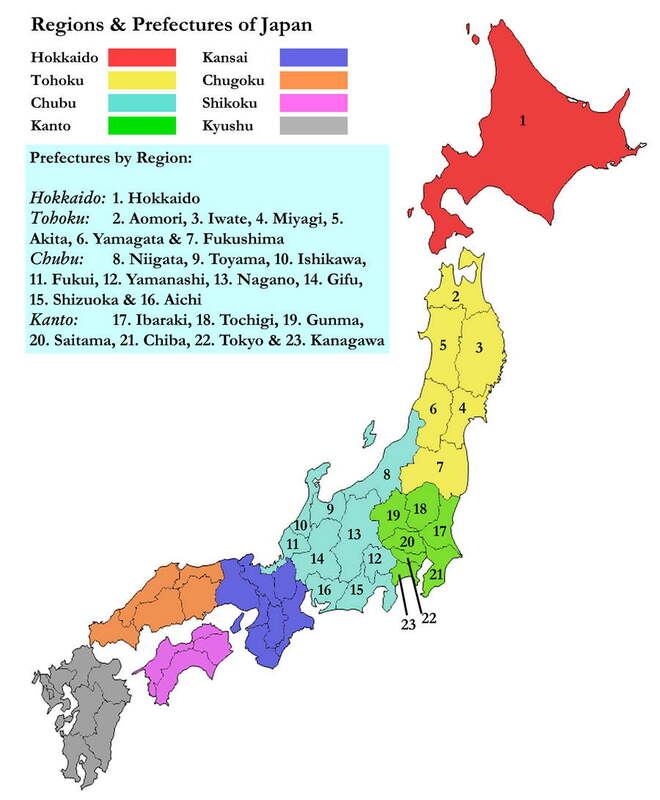 There is a map of Japanâ€™s Regions and Prefectures down below the table listing. We have written a series of books about our climbs of those mountains which we have climbed.Â Please CLICK HERE to see those books (new window or tab).